The exposure of paints and coatings comprises the single largest segment of weather durability testing, both outdoors and in laboratory artificial weathering. As such, Atlas offers the most advanced options for your durability testing of paints and coatings. Since our introduction of the first laboratory fade testing instrument in 1915, and our acquisition of the benchmark South Florida Test Service exposure site in 1934, Atlas has been the leading innovator in weather durability testing of paints and coatings. Today, we provide the broadest array of durability testing equipment and services to the coatings industry. Product R&D of film-forming coatings often begins with screening large numbers of resin and additive formulations for UV and hydrolysis resistance. The Fluorescent-Condensation method (ISO 4892-3 and ASTM G154), such as in the UVTest instrument, was designed for this purpose. This technique exposes test specimens to portion of the lower UV present in the solar spectrum, alternating with moisture condensation during dark periods. While not generally considered a true weathering test, this technique is popular and often useful for large scale screening of coating resin film formulations for low-wavelength UV and hydrolysis degradation. It is not, however, generally considered predictive for service lifetime or color and appearance properties, where xenon is preferred. Next, outdoor exposure testing of promising formulations is usually begun in one or more aggressive benchmark climates such as South Florida and/or other global test sites in Atlas’ Worldwide Exposure Network. To provide interim data on product durability, including both color & appearance as well as physical and performance property retention, accelerated weathering can also be performed in two ways. First, laboratory accelerated artificial weathering is performed using full-spectrum xenon arc lamp weathering instruments such as the Ci-Series Weather-Ometers (Ci3000+, Ci4400 or Ci5000), Xenotest (Alpha+, Beta+, or XT440/440+) or SUNTEST (XLS+, XXL+) instruments. Full spectrum helps to assure that the photochemical degradation mechanisms and test specimen temperatures will closely match the outdoor exposures, and that color and appearance properties will be more predictive. Testing is usually performed to ISO, ASTM or similar standards. The advantage of laboratory weathering, in addition to shortened test times as compared to outdoors, is the repeatability and reproducibility of tests, allowing comparisons among products, between laboratories or at various test times to be made, independent of the inherent variability of natural outdoor weather. However, all laboratory exposures should be correlated to, and validated by, real time outdoor exposures in one or more climates. The second method of accelerated weathering testing is with outdoor accelerated weathering. While laboratory weathering to a test standard can provide a common basis for comparison, accelerated outdoor weathering is closer to natural weathering in that it uses natural sunlight. Solar tracking devices use up to 10 special mirrors to concentrate the sun’s direct beam onto the test specimens. They experience the natural diurnal cycle of light and temperature, and water sprays can provide thermal shock or night time wetting to simulate a subtropical Florida environment. Atlas DSET Laboratories pioneered accelerated outdoor weathering with the introduction of the solar tracking and concentrator EMMA (Equatorial Mount with Mirrors for Acceleration) in the 1960’s. Several special Ultra Accelerated Weathering System (UAWS) units are available for research studies, and can provide up to 63 years of Miami solar UV in a single year. Lastly, corrosion testing of coatings on metal substrates can be performed to most test standards with Atlas’ salt spray (fog) corrosion cabinets or our Florida Keys corrosion test site. The SF Series of cabinets performs basic continuous fog tests, such as ASTM B117 and G85 1-3, ISO 9227, etc. The BCX series performs basic cyclic tests such as ISO 9227 and 7253 and ASTM D5894. 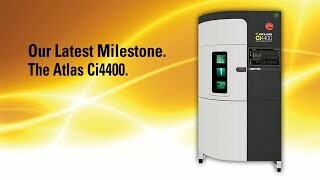 The CCX series is for advanced test cycles common to automotive, aerospace and transportation. Atlas can perform many common corrosion tests at the Chicago area lab. Natural outdoor exposures are performed at Atlas Florida Keys and North Sea Corrosion Test Center (Netherlands) corrosion test sites.